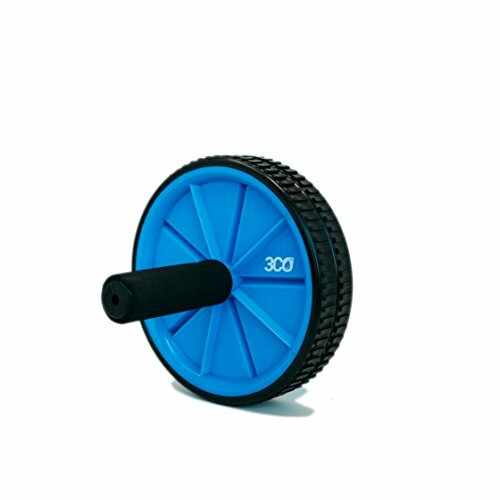 ULTIMATE ABDOMINAL AND CORE TRAINER - Adults, Men, Women, Children, Kids, Boys, and Girls can burn unwanted belly fat with our uniquely designed ab roller. The Fitness Master Ab Roller builds muscle density and sculpts abdominals, obliques, shoulders, arms, back & core. The perfect total workout for all fitness levels, from beginner to advanced, home or gym. Portable and popular - makes a great gift! ERGONOMIC DOUBLE-WHEEL DESIGN - Wobble-free non-skid wheels promote stability and control. Foam handles prevent slippage and provide a secure grip and minimizes hand fatigue while maximizing comfort and control. DURABLE CONSTRUCTION - Built to last a lifetime with high quality hard plastic and stainless steel parts. Durable, safe and high load capacity supports any weight. VERSATILE - Not just for floor exercises, this unique fitness equipment can also be used against walls. Great for stretches and extending mobility - even the wheelchair-bound or arthritic sufferers can benefit!